The chances are that you haven’t ever attended a photography tradeshow, and I think you’re missing out on several good opportunities. 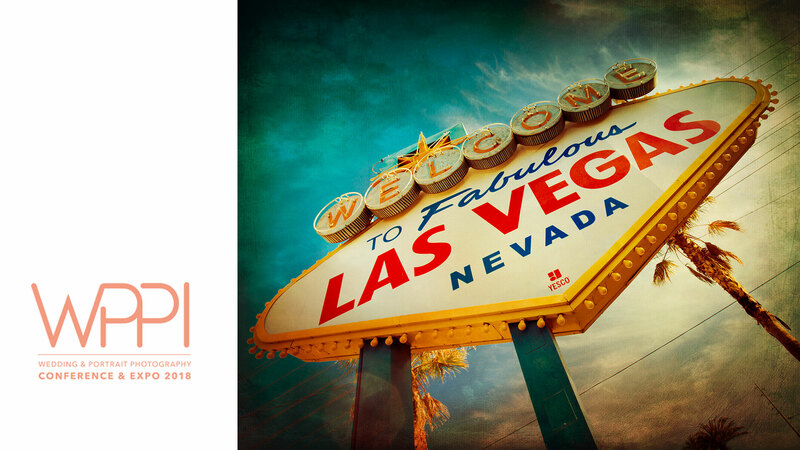 I think this is my 9th WPPI, and I wouldn’t even consider not going. Not only do you get to go to Las Vegas, which is a terrific break from winter weather and a marvelous place to explore the mountainous desert (not to mention the sites and flavors the Strip has to offer), but you’ll also get a multi-faceted education that can’t be replicated. Here’s some of what you get by attending this sort of thing in-person that just can’t be replicated by YouTube videos. There are thousands of products from hardware to software to dresses made especially for pregnant models that you can see and try first hand. You can ask others at a booth how they’ve used it, you can see if it fits in your workflow or fits in your hand, and you can even negotiate leases and pricing on items you wouldn’t otherwise be able to afford. For instance, many of us from the Photofocus team will be helping at the Skylum booth showing off Aurora HDR and Luminar. You can talk with us, you can see how we use the apps in our own work, and we can help recommend other tools or classes at the show that can help you make your photography and your business better. In my opinion, the very best education you can get at WPPI is to attend the live print competition judging on Saturday and Sunday. You will see the finest of the portraits being made around the world, today, and then you’ll see some of the best photographers discuss the merits of the prints and offer ideas for why it’s great and what could have made it better. It’s a wonderful experience to sit in this darkened room and listen in on the judge’s conversations. The photos, the mood, and the amazing people you get to listen to are worth the cost of admission of the whole show, even if this were the only event you attended. I have seen photos during the judging that have completely changed the way I understand light and the way that I shoot. Of course, we’ll be doing a photowalk during the show, and there are loads of other photowalks and hands-on learning. You can do a walk with some of your favorite instructors and see live how they work out a scene and make a picture, or you can watch demos on the show floor and then try your hand with the tools and lighting provided in the booths. Fortunately, the classes don’t overlap with the tradeshow hours so you can attend both. Be sure to check with your favorite instructors, though, and see which booths and when they are teaching during the show hours. There is far more education available than you can possibly absorb. We’ll have details of the Photofocus photowalk available shortly. Before I had attended WPPI, I was a photographer in my little area thinking that I had it down and that I was doing really well. After attending the show for the first time, I realized that although I had been doing well, I had now learned so many things that I could be doing better. Of course I saw dazzling presentations about photography, but more importantly, I met people at booths who showed me how I could do better at my business. I met companies whose sole purpose was to help me become more profitable. The people at WPPI understand that a rising tide floats all boats and that’s what’s good for you is good for them. In fact, they know that without you there can be no them. I made relationships with labs and manufacturers that have lead to everything I do today to support my family with photography (including writing with Photofocus), and most of those people are still my close friends. I even got to introduce some of those companies to my work and overtime they liked it well enough to partner with me on various adventures. Nine years ago, I was in the same position as you regarding the photography industry. I’m glad that I attended that first WPPI and all the tradeshows I’ve been to since. I can’t encourage you enough to go attend. Don’t treat it like a vacation that happens to have some education included, though. Treat it like an opportunity to get to kick your year off strongly and make plans regarding who you want to talk to and what things you want to accomplish. Learn from the masters of photography as well as the masters of making business. Of course, you’ll have fun, too–our photowalk is not to be missed ;)–but you’ll also come away empowered to make better pictures and, if you are pursuing this as a living, build a better business.